The Nanofabrication & Electron Microscopy Facility is a Small Research Facility (SRF) within the Department of Physics which provides researchers with access to state-of-the-art capabilities for micro- and nano-fabrication and scanning electron microscopy. The Facility is primarily used by members of the Department and the wider University, but is also available to those outside the University, including academic, commercial and industrial users. 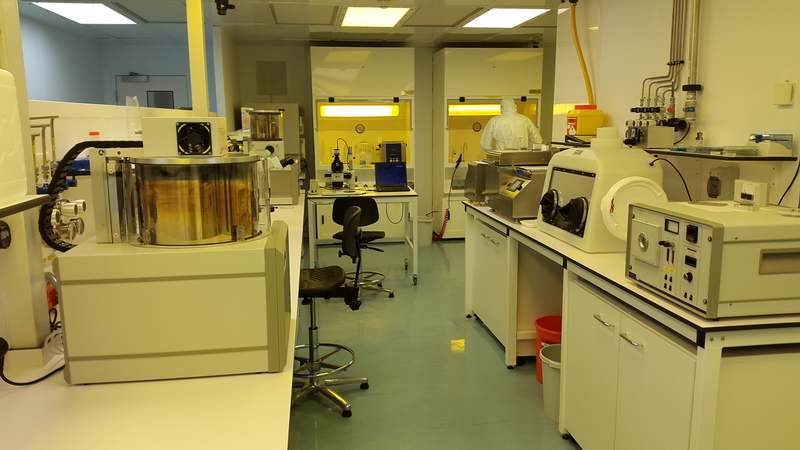 The foundation of the facility is a Class 100 and Class 1000 cleanroom suite used for sample preparation and lithography, including equipment for resist processing, thin-film deposition, and etching. We provide training for researchers to use our electron beam lithography, focused ion beam lithography, and UV photolithography systems. Users can also access scanning electron microscopes and carry out elemental microanalysis within the facility. Potential users should contact the Facility Manager: Dr Jason Brown.